True. 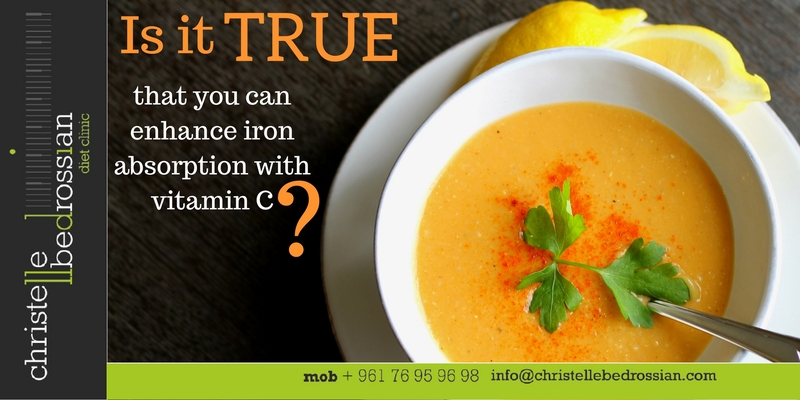 Combining vitamin C rich foods like citrus fruits with foods rich in iron helps in increasing the absorption of iron. Add lemon juice to your lentil soup or add sliced strawberries to your salad made with spinach. (Next Entry) Is it true that eating more fiber can help in weight loss?